~Eternal Snow~: My Room: Updated 03/06/08. After going through the entrance, you'll be greeted with this sight. 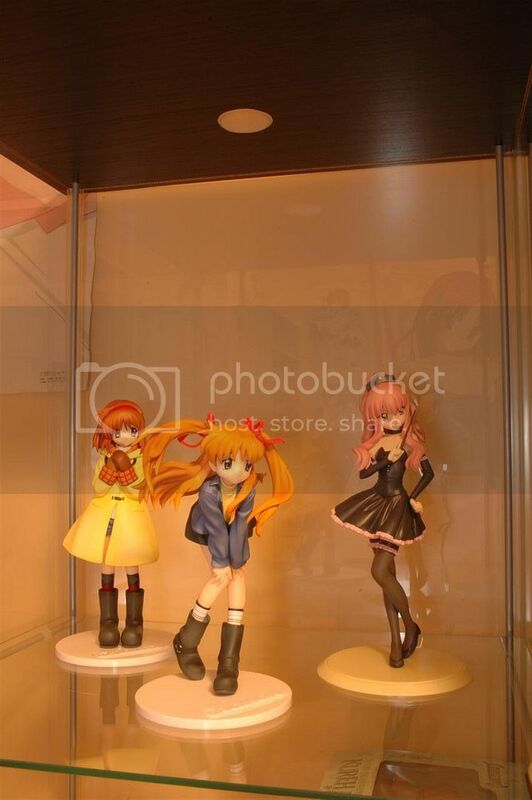 figures, various merchandises are all kept in the main display cabinet. Zooming closer to the Detolf cabinet. 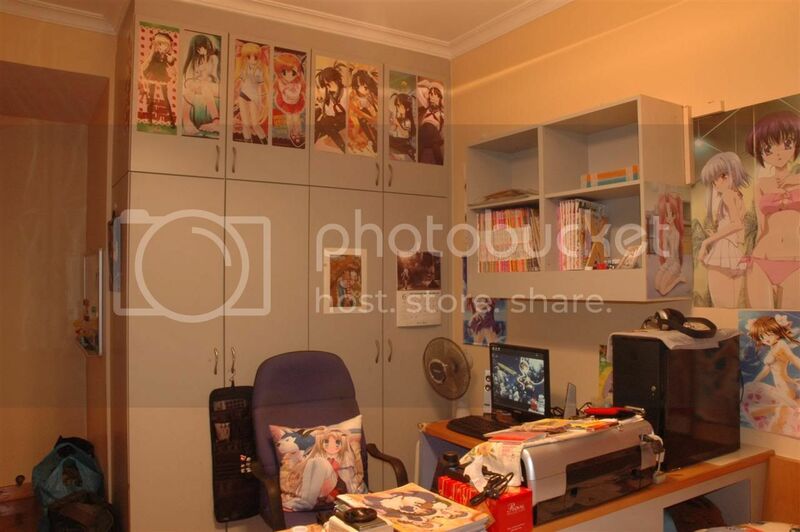 Notice the other side-cabinet with the Da Capo II posters? I had to do abit of hand-work on that cabinet, sawing and sanding off sharp edges on one side to place the posters. The posters are actually covering a very unslightly empty space. That cabinet used to be connected to my main work area, but lack of use and the blockage of air flow to my computer, I had to remove it. It looks lovely now (thanks to the posters). Walking over to the other side, view of my cupboard. Still loving those stick posters at the top, need more to put up ^^. The place where you see my CPU, the cut off point between the brown and white surface, that white plank was where that cabinet was. View of my bed area. I recently bought that Kyou Mini Pillow (it's a beanie cushion). 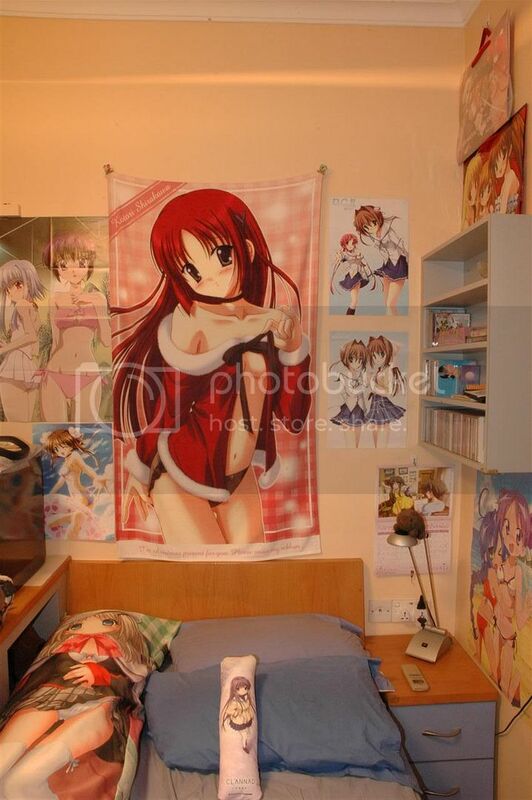 Loving it and my Noumi Dakimakura. The small hole just next to the dakimakura, that's where my Botan plushie is hiding. Moving back to the other side, here's an overall outlook of my work area. My MEGAMI and Dengeki Hime are kept up on the shelf. I love my Noumi Cushion too ^^. 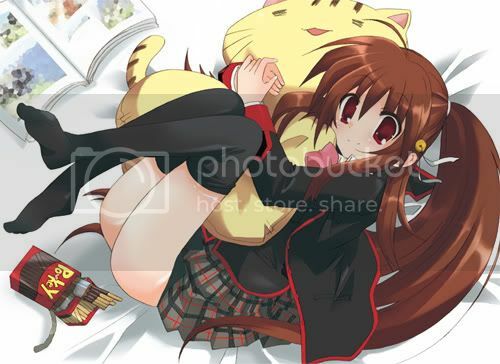 I'm such a Little Busters! fanboy, or just of Noumi. :P A close-up of my work area. I'm also a Fate fanboy lol. 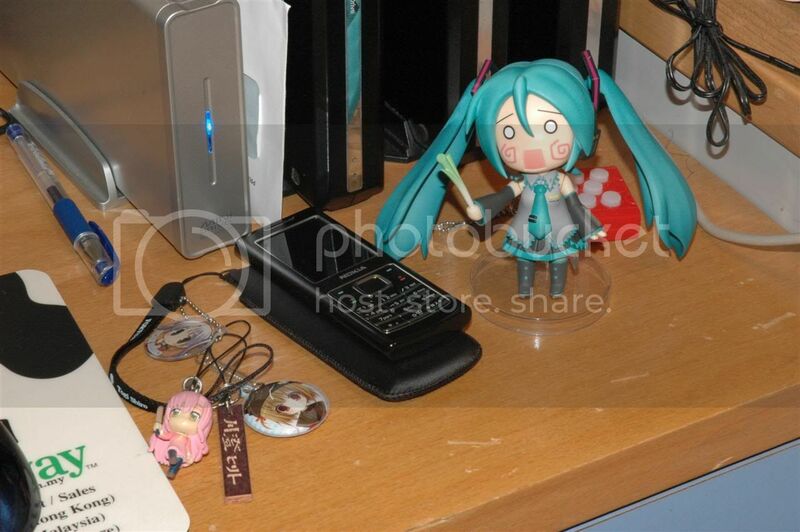 Ahh my Nendoroid Miku in Hatchune mode. That's my not so new (1month already) handphone, a Nokia 6500 Classic. I've attached quite a few items onto the pouch (Sabar was saying it feels so girly, but I love it anyway), which all came from Japan. The Fortune Arterial strap + Shiro tag was from Comiket73, so is the handphone cleaner (original character from Bunbukudou circle), the Hinagiku from a gachapon in Akiba, while the name-tag is from Kyoto (had the guy craft my nick on it, Kawasumi Hirito) Currently in my Detolf cabinet, there's only 4 figures, but I bought the cabinet in anticipation of future pre-orders (currently 6 to go). 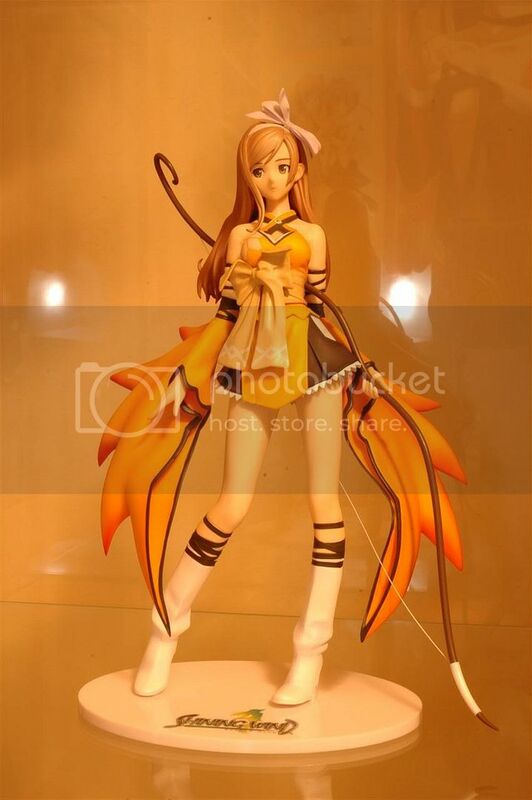 Here's my Max Factory's Ayu and Makoto from Kanon (still waiting for the rest of the characters!!! Quick MF do them all please!!! ), and Alter's Bustier Ver. Louise from Zero no Tsukaima. Well, that's about it for my room. 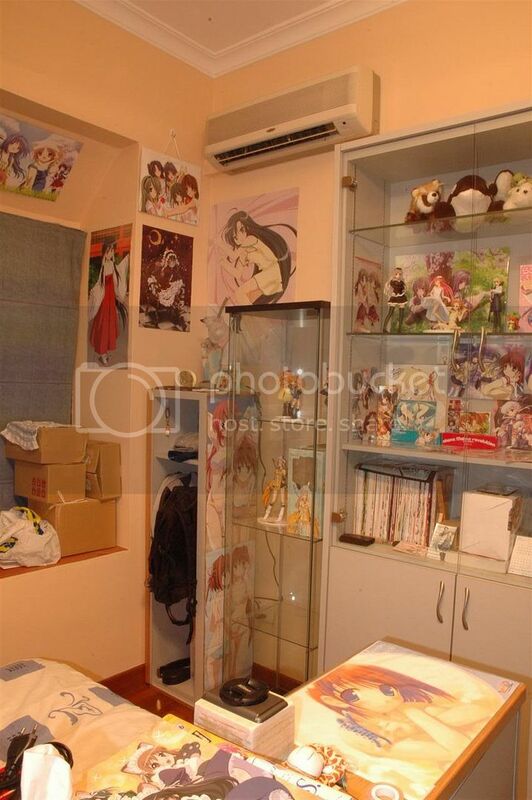 I might have more things to add to the room when I come back from Japan (but of course I'll do a loot post for that ^^), but I doubt it'll have much major changes. 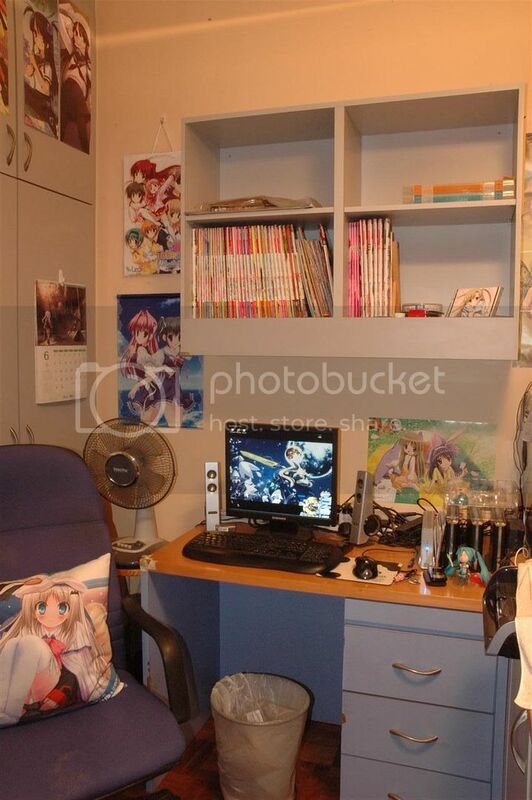 Maybe when I move into my Uni's dorm, I might "decorate" it too, then I'll post photos of that hehe. 2 more days before I fly off to Japan, Tokyo only, for 10 days.... CAN'T WAIT!! I still haven't packed my luggage though... Signing out. 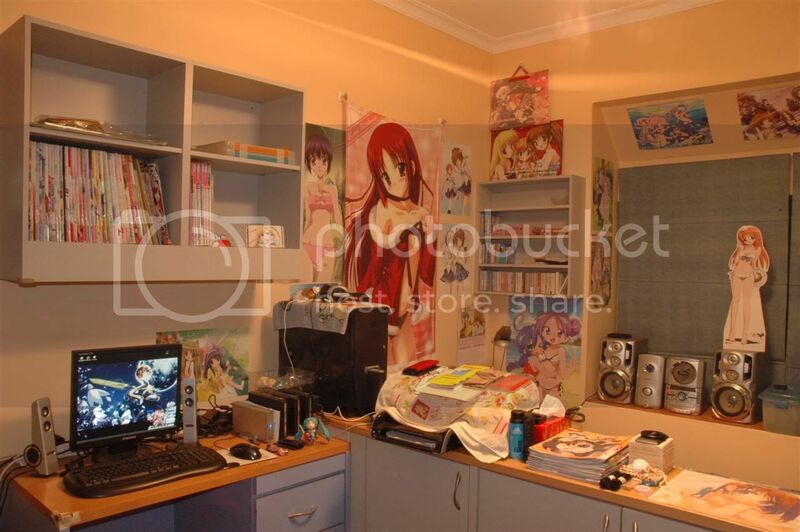 lol i love your room, wish mine was half as good as it! I am stealing that Kureha. Period. Your DETOLF is too empty. Why can it not be more like mine? Jeez USE IT lol. Some more you got it for almost half my price. I am jealous. I want to know where you got those transparent posters. I probably need a few, and I want to frame some lol. nomadicwriter: !!! 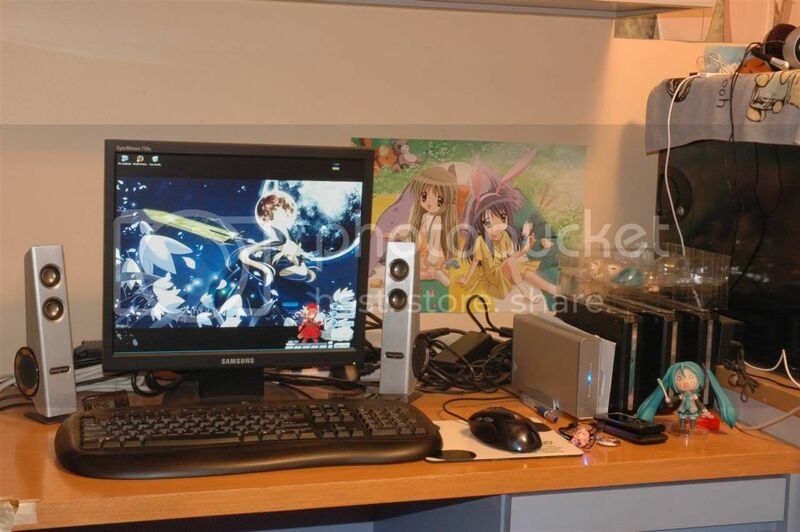 *Steals back the Shana and Lucky Star posters* ^^ lol. seiryuu: okay, added you to my blogroll too ^^. panther: I need more figures to fully utilize it!! And there's no way you're stealing the kureha! But I''ll help keep a look out in Japan for you ^^. As for those transparent poster, I got it from the Circus (the eroge company who made Da Capo) booth at Comiket, thus I'm not sure where I can find them around in SG. gordon: too bad that my friend reads this blog, so it'll be hard to not let him know LOL. kazearashi: I remember taking a day running around Orchard road going around department stores asking for a inside pillow of that size (150x50cm), which I eventually found at Robinsons @ Centrepoint, which costed me about S$80? It's called a Body Mate (I have no idea why) it seems. squee: My cupboard space is fully utilized! Packed with lots of stuff, so there's no room for you to move in LOL. 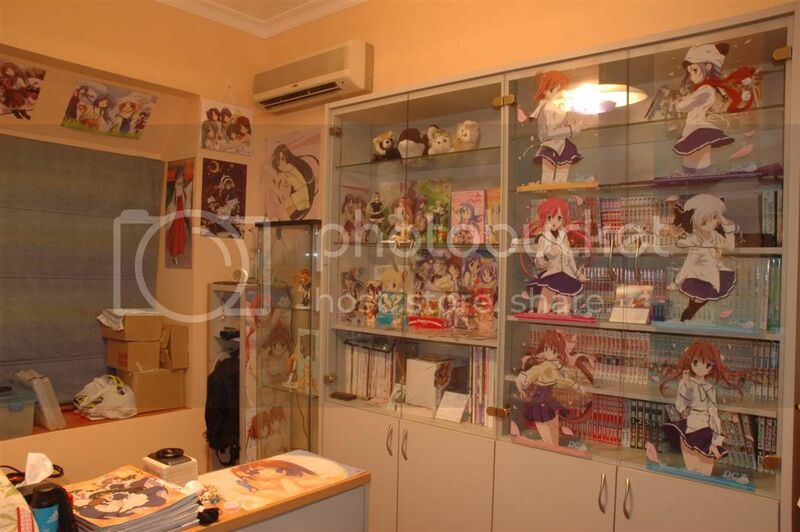 Wold you mind selling your Detolf cabinet to me?? 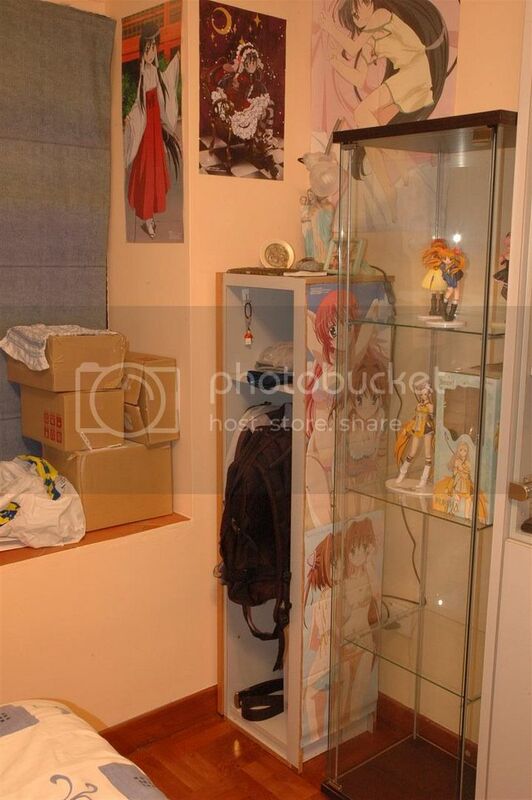 I need space to showcase my figurines and gundams..
Fariz: LOL can't sell! In fact, just hope down to the neighborhood friendly IKEA at either Queenstown or Tampines, and get the DETOLF. I think normal price is at S$99 was it? I got mine at a steal of S$60 since was on offer ^^. THAT IS ONE HELL OF A ROOM!!!!! Your room is so much better then mine!! !There are so many things I want from your room right now!!! rin: wow that's a huge response! Thanks ^^. There's many other things I would also love to add to my room, I'll definitely need a part-time job to do that though. cavalock: Thanks, and when's your trip?? My mum will skin me alive if I have done that. On the other hand, with the environment I am in, there will be tones of undesirable particles. Panther & co. will know better after that BBQ at my place. raven: it's a good thing that my parents are quite open-minded, thus being able to do this. Still, clean room is an organaized room!!!!! I see some stuff I wouldn't mind getting my hands on!!! Wow! i love that room! i wish my room was like that!